When compare Medicare Plan F vs Plan N vs Plan G, there’s many things to consider. The daunting task of familiarizing yourself with Medicare and your options can be a bit intimidating. But that’s why we are here, to make things a little easier on you so you can make the best choice in one of the most important decisions in your life. About 10,000 seniors are aging into Medicare daily, and many of them are choosing Medigap Plans to cover the costs left over by Medicare. In a nutshell, Medicare basically covers 80% of the bill and the additional costs could be substantial. Medigap Plans help by covering all or most of these costs, depending on the plan you choose. All states have the same standardized plans, with exception to Minnesota, Wisconsin, and Massachusetts, that have different options than the rest of the country. These plans are designated by letters and the coverage is exactly the same regardless on which carrier you choose. What this means for seniors is that no matter where you are in the United States… Plan G is Plan G, and the coverage is exactly the same despite state or carrier. Below, we’ll compare the top plans side by side to help you understand the differences. These plans are offered by private insurance companies such as Mutual Of Omaha, Aetna, Cigna, United Healthcare, and United American. When it comes to Medigap Plans most people choose between Plan F, Plan G, and Plan N. There is a very good reason why these plans are the most popular, they are the most comprehensive. For many years Plan F has been the most popular. That’s because anything Medicare covers, Plan F covers all of the cost left over. For example, if you have a $100,000 surgery where Medicare leaves you with about $20,000, Plan F covers every penny. 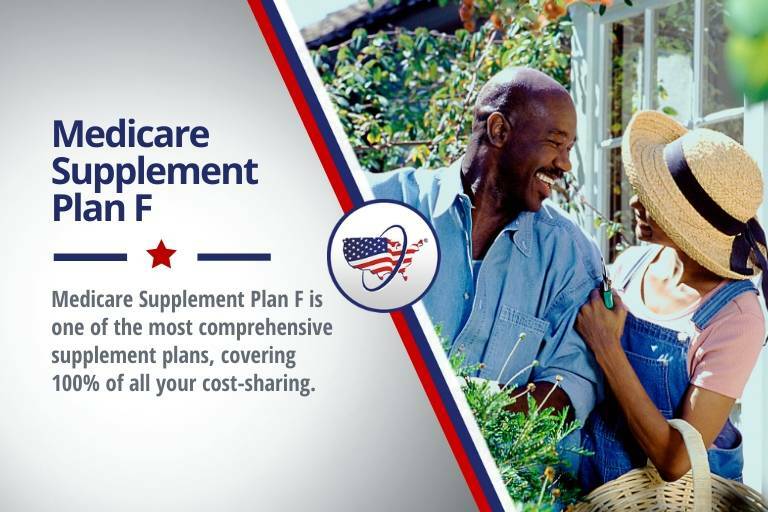 Plan F is considered first dollar coverage, all first-dollar coverage plans are going to be discontinued in the year of 2020 as part of the Medicare Access and CHIP Reauthorization Act of 2016. Beneficiaries on first-dollar coverage plans will be able to keep their plan, there’s no need to go switching plans unless you’re just looking for a better premium price. Also, as long as you’re Medicare eligible before 2020, you can continue to enroll in first-dollar coverage plans after they are discontinued. Plan N is growing in popularity and is considered by many as the most affordable, full coverage plan option. You’re responsible for paying the Medicare Part B deductible. In addition, you’re responsible for a $20 copay for the doctor, including specialists, and $50 for the emergency room. The only thing that leaves you vulnerable are excess charges. An excess charge is an additional 15% that a provider can charge above the Medicare approved amount. These are not common as more than 90% of providers accept Medicare assignment, meaning they agree not to charge the excess charge. The savings of being on the Plan N is quickly making it grow in popularity. If you are relatively healthy this is one of the best options for you. Plan G is currently the most popular plan in Medicare. This is because the beneficiary usually saves significantly more money every year by being on the Plan G and paying their own Part B deductible, which is the only difference between the F and G.
Basically, Plan F is a full coverage plan. Likewise, Plan G covers exactly the same. Except it requires the beneficiary to pay the Part B deductible, and this generally saves hundreds of dollars per year over Plan F.
The best time to enroll is during your Open Enrollment Period. Medicare beneficiaries should start shopping for Medigap options as soon as they’re getting ready to enroll in Part B. Beneficiaries have 6 months after enrolling in Part B to review and shop for the best Medigap Plan to meet their needs and budget, without going through medical underwriting. During the first 6 months after your Part B is in effect, you’re given guaranteed issue and cannot be turned down due to any pre-existing conditions. You can still apply after the first six months, you’ll just have to answer some health questions during the application. If you’re enrolled in a Medicare Advantage Plan, you cannot enroll in a Medigap Plan. 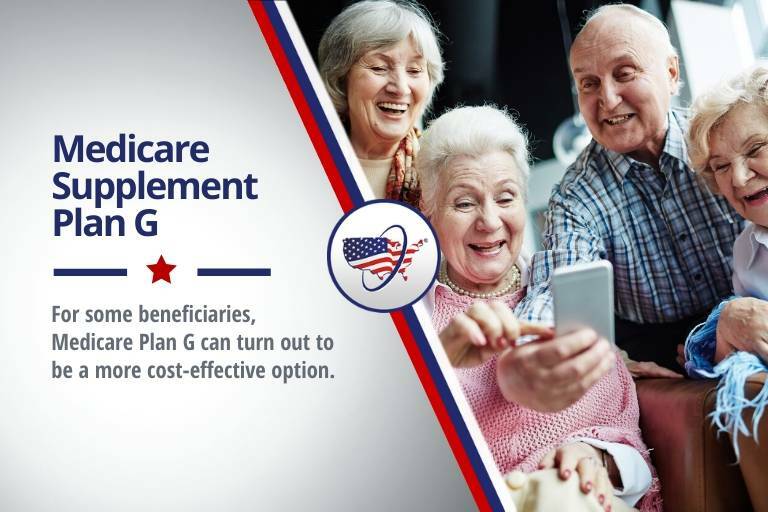 They are are many reasons why beneficiaries choose a Medigap Plan over a Medicare Advantage Plan, you can read them here. None of the Medigap Plans include coverage for prescriptions drugs. You’ll want to pick up a stand-alone Part D plan to cover prescriptions. It is important to choose a highly rated carrier and plan when you’re starting Medicare. You can anticipate stable rate increases over the future when selecting a creditable carrier. Unfortunately we do not get healthier as we age and this is one of the most important choices for your health and financial needs going forward. Another important fact to remember, the longer you wait to enroll in Part B, the higher the premium will be when you do enroll. There’s a late enrollment penalty for both Part B and Part D. This penalty can quickly add up. The reason for the penalty is to discourage new enrollees from waiting until they need coverage to enroll. Most don’t understand that they’re only granted guaranteed issue for the first six months they’re eligible for coverage. So, if you want until you need it… you have two things fighting against you. The penalties for waiting and the impact of pre-existing conditions on your premium and approval odds. For more information on Medicare Supplement Plans, give us a call. You can also compare rates in your area using our online rate form here. i still need to know if Medicare covers radiofrequency ablation (RFA) for lower back pain and if Plan F covers the balance not covered by Medicare. Hi James! Yes, Medicare covers radio-frequency ablation (RFA) for lower back pain. Plan F will cover the remaining 20% that Medicare leaves up to the beneficiary to pay. We have a great FAQ on lower back pain management and Medicare coverage here.